Our 50+ Multivitamin has been specifically formulated for the 50+ age group. our 50mg Bilberry extract provides 12.5mg of anthocyananins. 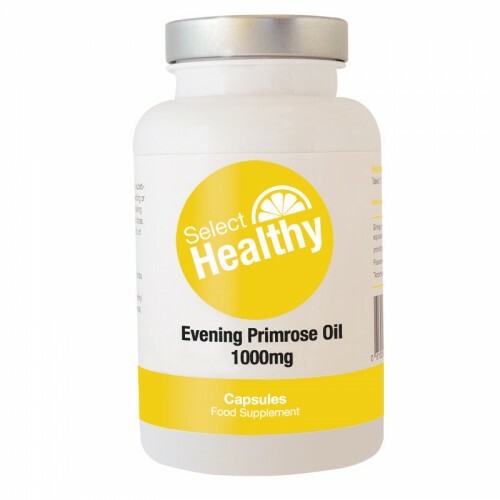 Each 1,000mg Evening Primrose Oil capsule contains a minimum 9% GLA. Folic Acid (Vitamin B9) is recommended by Health Experts during pregnancy. This high dose Odourelss Garlic product provides 1000mg of Garlic. Three tablets per day provide 1,500mg Glucosamine 2KCL and 1,200mg of Chondroitin. Glucosamine 1000mg is our most popular non-vitamin dietary supplement. Each tablet contains 1500mg of Glucosamine and is coated for easier swallowing. Hyaluronic Acid is found in many tissues of the body including skin and cartilage. Iron plays a fundamental role in our everyday health by carrying oxygen to the cells around our body. Krill Oil a pure and natural source of Omega 3 with EPA DHA and also rich in the Antioxidant Astaxanthin. Lutein has been found in high concentrations in the macular of the human eye. Our Milk Thistle contains 150mg of Silymarin per tablet. Each tablet contains 1000mg of MSM and is suitable for Vegetarians. At Select we have chosen to produce an optimum dose of Omega 3. 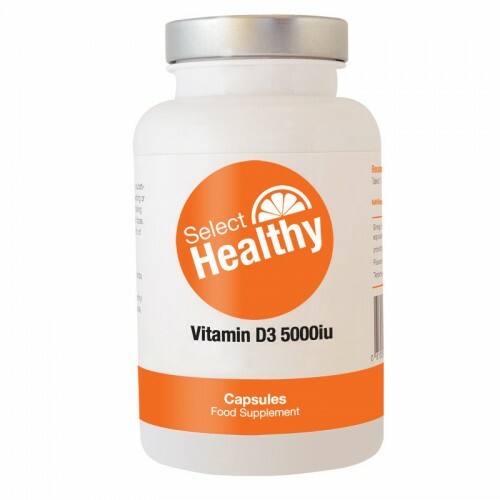 Our Probiotic capsules do not need to be stored in the fridge and are excellent value. Each of our capsules contains 400mg of Raspberry Ketones. Rose Hip is a rich source of fatty acids and potent antioxidant compounds. Our Saw Palmetto tablets contain 500mg of Saw Palmetto extract. Our St Johns Wort tablets contains 333mg of St Johns Wort extract. Vitamin D3 known as the sunshine vitamin, Vitamin D3 helps to maintain healthy teeth and bones. Our Vitamin E is High Strength and the most bio available. Zinc is not produced by the human body yet is one of the most essential minerals needed by us.